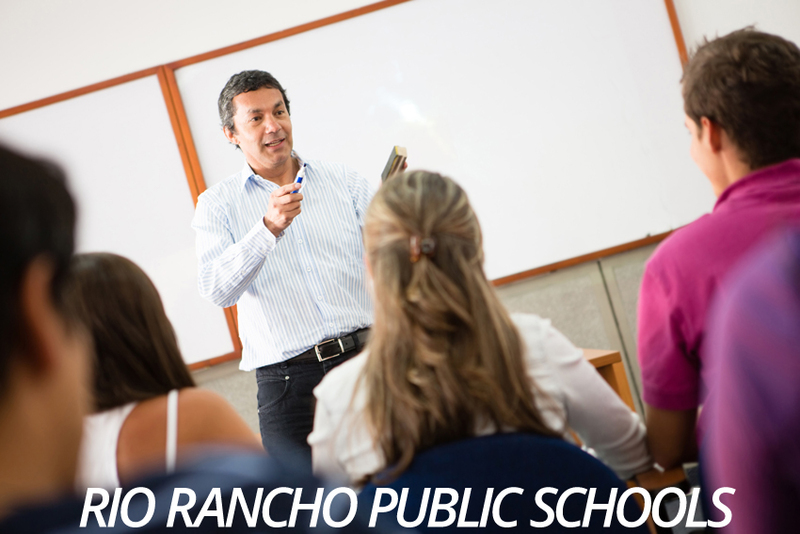 R io Rancho Public Schools (RRPS) is considered to be one of the best-performing schools districts in the State. It is one of the newest (1994) school districts in New Mexico. And with 18 locations and more than 15,500 students (May 2008), RRPS is also the State’s third largest school district. V. Sue Cleveland High School, the district’s second high school scheduled to open in 2009, will seek to improve on an existing model the district pioneered in New Mexico when it opened Rio Rancho High School. This model uses “academies” to focus students into a theme-based curriculum that directs their studies by providing depth of understanding within their area of choice, called “career pathways.” The academy orientation and Rio Rancho High School’s academic rigor were featured in TIME magazine’s 1997 special report “What Makes a Good School.” Rio Rancho High School was also recognized by Microsoft Corp. as a Center of Innovation in 2004. Since its inception in 1994, the district has implemented numerous programs and initiatives to address student learning from the highest standards. Rio Rancho Public Schools is the states first Charter District under a pilot project authorized by the NM State Legislature. Under the charter, the district uses a rigorous strategic planning and self-assessment process guided by the Baldrige Criteria for Performance Excellence in Education. In the past two years, all Rio Rancho schools and the district office have undergone rigorous scrutiny by trained examiners from Quality New Mexico, as well as an accreditation team from the New Mexico Public Education Department (PED) and the North Central Association (NCA). As a result, all district schools and the district office have received recognition from Quality New Mexico and all district schools earned accreditation from PED and NCA. T en elementary schools (grade K-5) including Colinas del Norte Elementary, Enchanted Hills Elementary, E. Stapleton Elementary, Martin Luther King, Jr. 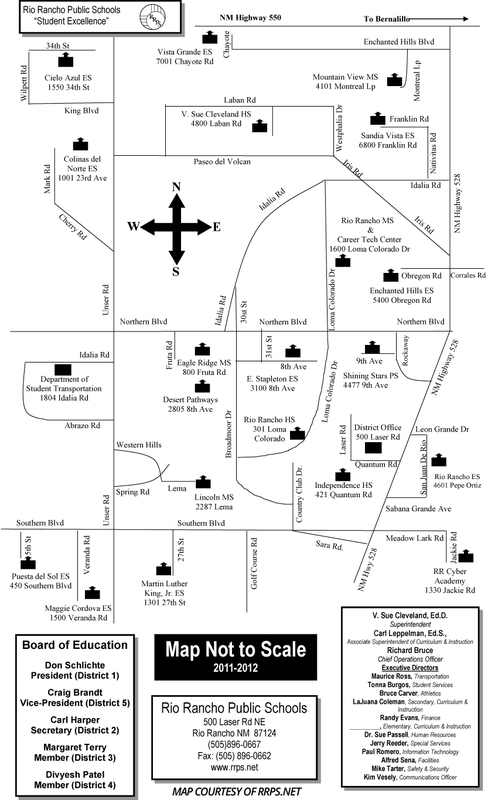 Elementary, M. Cordova Elementary, Puesta del Sol Elementary, Rio Rancho Elementary, Vista Grande Elementary, Cielo Elementary and Sandia Vista Elementary. RRPS recently acquired 140 acres of property from the New Mexico State Land Office for the construction of a new high school. The site will accommodate future expansions of district programs and is master planned. Estimated core facility cost is $96.8 million for design and construction for which there is current funding. V. Sue Cleveland High School will be designed for 2,350 students, encompass 352,000 square feet (Phase 1) and be located just northwest of the intersection at Idalia and Iris Roads. Once the second comprehensive high school is built, grade configurations will change so that middle schools become grades 6-8 and high schools become grades 9-12.